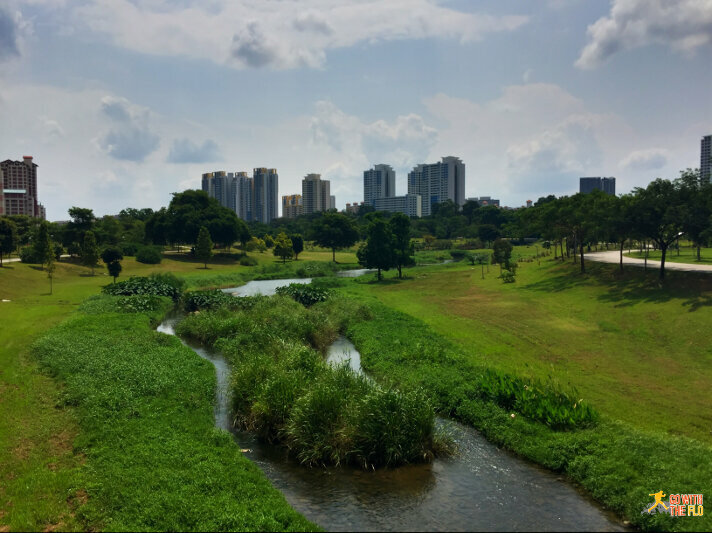 The past weekends have been very sunny (and well… hot) and we used the opportunity to do some exploring in our (extended) neighborhood. 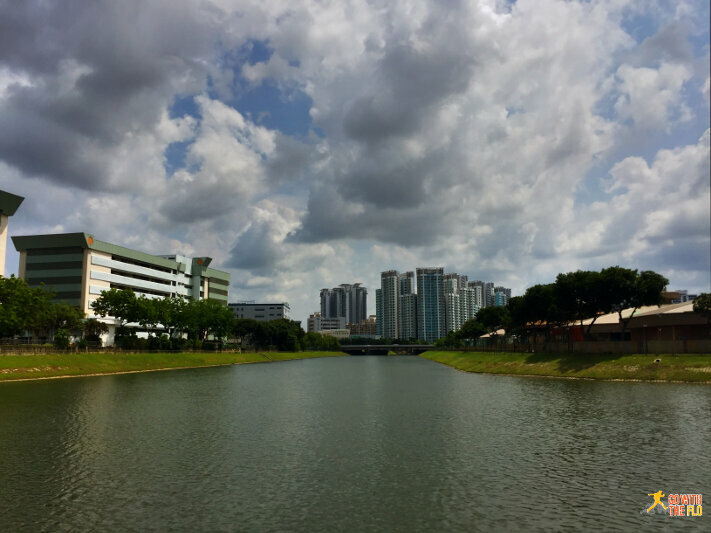 We’ve walked/ran a couple of times along Kallang River. 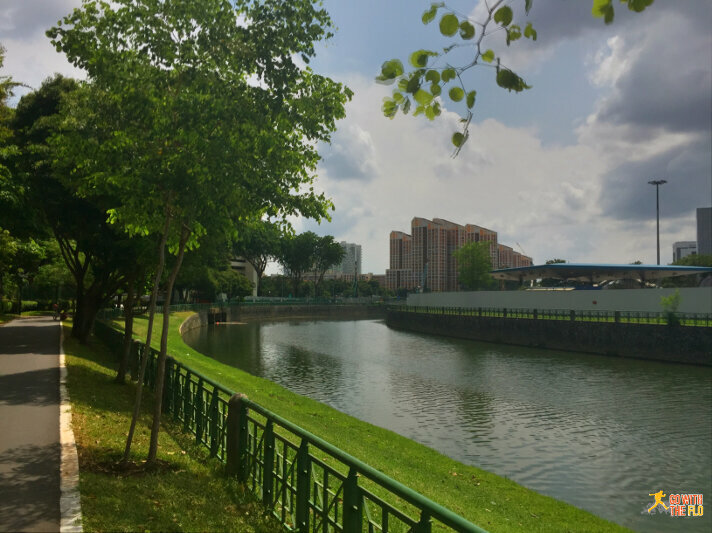 While the riverbanks haven’t been upgraded as nicely as Rochor Canal, Kallang River is much longer and wider and has also seen some upgrades since it has become part of the Park Connector Network. 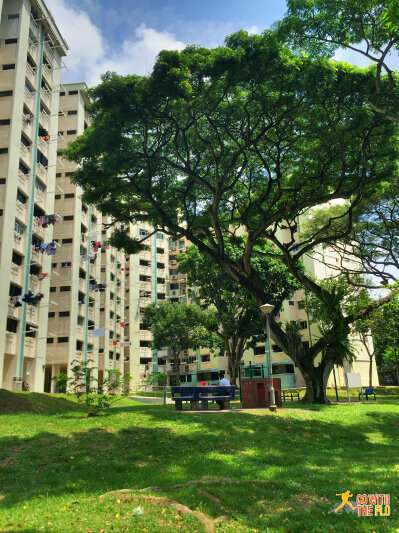 The idea behind these corridors is to connect various parks with minimum road traffic in between. 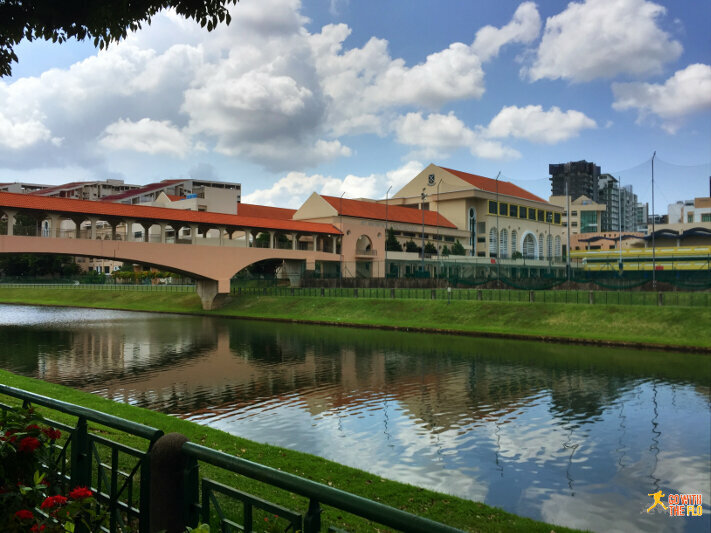 The Kallang Park Connector connects Kallang Riverside Park (where we started) with Bishan-Ang Mo Kio Park (our destination). The whole stretch is about 8km long and took us around two hours to walk at a casual pace including a lunch stop. 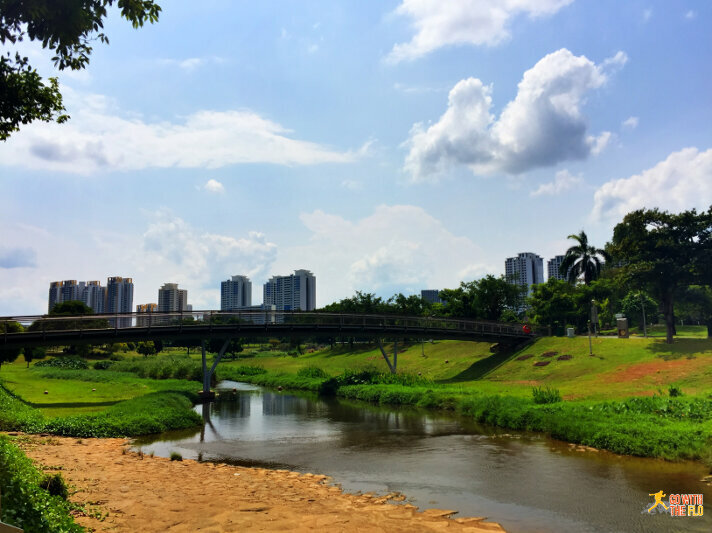 Even though we walked in the midday sun, we enjoyed the excursion and got to see a new part of the city. All along the track, the paths and surrounding nature is very well maintained! The first park I’ve ever seen with a McDonald’s inside. 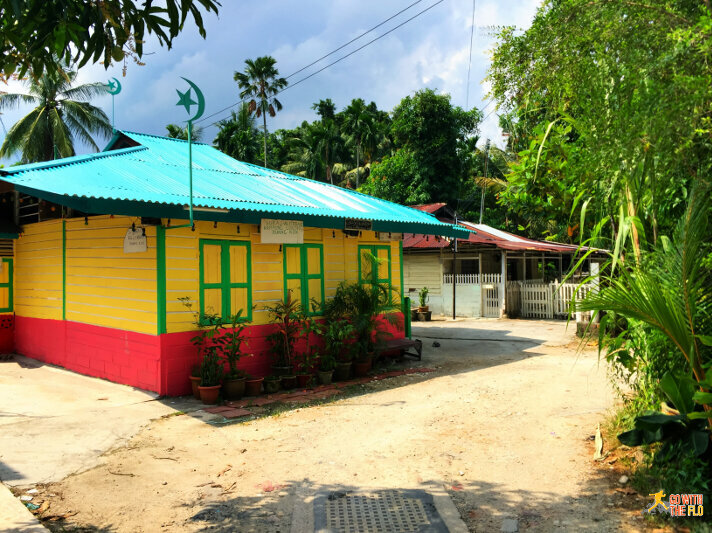 Instead of heading come, we did a small detour to Lorong Buangkok, Singapore’s last Kampong style area (traditional village). 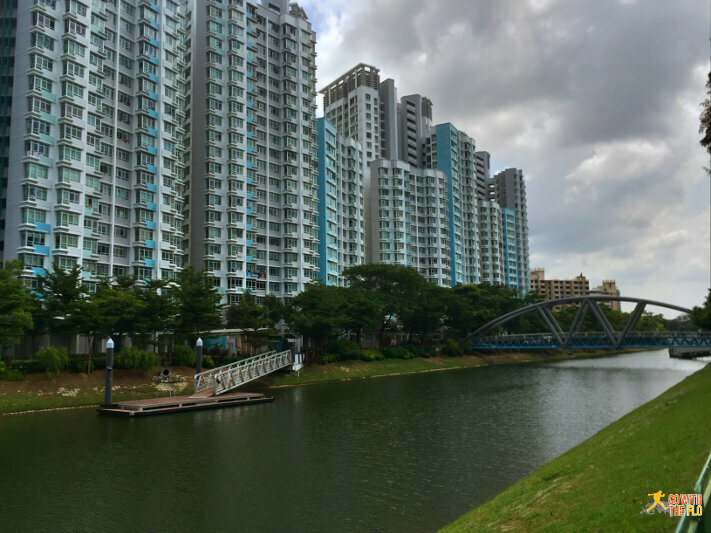 Definitely a contrast to the rest of Singapore’s residential areas. After an interesting (but also exhausting walk) we made our way back home – using UberPool (basically sharing an Uber with others) for the first time.